yWriter5 - A free writing tool for novelists ~ Android Forever! "First, and most important, yWriter is FREE to download and use! 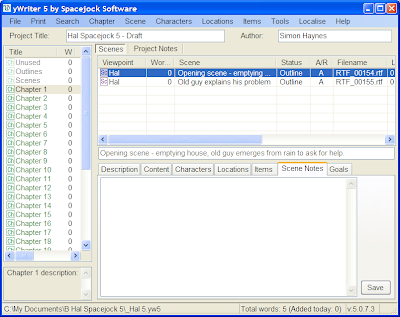 Second, and still rather important, it's a word processor which breaks your novel into chapters and scenes. It will not write your novel for you, suggest plot ideas or perform creative tasks of any kind. It does help you keep track of your work, leaving your mind free to create."